We use a 4-step process to help you complete your project as smoothly as possible. 1. Kick-off – we arrange a telephone call with you to understand what intercompany agreements you need to put in place, when it needs to be done by, and who within your organisation we should deal with (you, your project manager or your PA). You confirm whether you want us to project-manage the signature of the new intercompany agreements, or whether you just need templates which are tailored for your group. We confirm our fixed price for completing the project, and the amount which is payable in advance. confirmation of where relevant assets (such as intellectual property) are owned and, if applicable, any relevant agreements with third parties (e.g. terms of business with customers). We review that information and ask any questions to complete our understanding. If any questions need to be answered by third parties, we will confirm them in writing so that you can easily direct them to the relevant people. 3. Documentation – once we have completed our review and clarified any questions, we prepare a tailored draft template for each type of supply, using the formats we have developed. a ‘contract schedule’ which can be signed between the relevant companies on a bilateral basis. This is kept as short as possible – usually 2 to 3 pages. The contract schedule sets out the particular pricing and other terms which apply for each individual supply, and any special terms which override the standard terms. The contract schedule refers to the standard terms and incorporates them into the agreement by reference, so that it is not necessary to set out the standard terms themselves in full each time. because the actual contracts created are bilateral, it is easier to accommodate variations for subsidiaries in particular jurisdictions, without disclosing those variations to other national tax authorities. 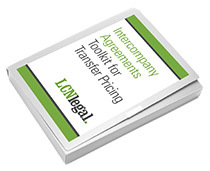 Click here for access to our template agreements, as part of our ‘Toolkit’ of practical resources for multinational corporates. We aim to get your tailored template documents right first time, so as to reduce the time spent by you and your team on the project. Usually this completes our work, and you receive a finalised and tailored template intercompany agreement for each type of relationship involved. 4. Implementation – if you have asked us to project-manage the implementation, we will produce a draft data log setting out all the numeric values and other variables for the individual contract schedules, for you to confirm. This data log will include the names and contact details of the relevant signatories for the legal entities involved. Once you have validated this data log, we will then produce the actual contract schedules for signature, and arrange for them to be signed as required. PDF copies of the signed documents are stored securely and are accessible by you online.